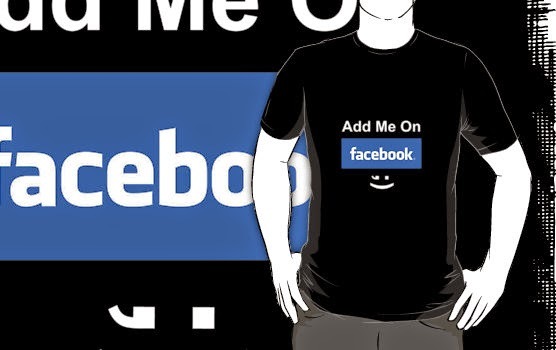 As we all know,Follow Button on Facebook is Getting Brand,however, most of the Readers is getting bored and gets irritated to make a subscription on particular websites/blogs.This is exactly because of Spam Junk Emails are rushing to the mails of our subscribers day by day and minute by minute. On May 5th 2014,My Friend Krishna Moorthy in His Blog : Blogbeatz.com Made an article about InInbox Review and I spend a Whole Night with that email marketing(ininox.com) to know their service,Finally i came to know that,it was spam free and best for email subscriptions. Readers always look to make an attention with their special writers even online as well as offline.Now a days its getting brand , writers online and as a destruction of the scenario many subscribers can't touch with their writers in simple subscriptions. So that,they need some top level touch with writers/bloggers whom they were Following. However, Facebook is a wide social network and raising their platform day by day. and updates spread over the news feed second by second,but the problem is that,Facebook news feed will only result,what we search on Facebook continuously and Misses other valuable updates. Example: If we Love Cinema and keep on searching about latest movie gallery,gossips and all. Facebook News Feed only results with that and looses other activities what we Liked,Followed and more. So,the subscription made to our writers,will not get appeared on Our Subscribers wall.Apparently, we all Know Facebook Friend Updates will not vanishes.If any like or comment on our Friends Updates,They will surely Dump on our wall as soon as possible.Like wise If our subscribers wishes to add us they will get easily touched with us and possibly gets our each update as soon as reason as possible.Facebook Add me Request Button can practically provides you the dual facility.That, If you Guys got some request from this button,As per Facebook rule,You can certainly Add Him/Her Now or later,So that you can choose an option that provided by Facebook,if you know him /her personally.Do you know These guys personally.If you Provide yes Option on that,it will automatically turn that person be your follower list,so that you can enjoy,and do not wan't to reach his/her disturbances on the other hand. So, Here I'm Dropping an HTML Code To reach me on Facebook and For ADD Me As Friend...Use this Facebook Button For Blogs as well as Other Website:( Blogger + WordPress +.... to all hosting). Just Replace 'rahulsuresht' with your Profile id. Hope you Enjoy With this Post.Drop Your Views on This Post Below..You can Place this at side bar with Author Profile or at Contact Form,in order to get easily access you. That's great to Know Bro..and Thanks for visiting once again.. I tried it in my website www.8ruuux.com . I clicked the button and it took me to the profile and nothing else happened . Am i doing something wrong ? I generated this button to get easily access author profile of fb page and even if i make direct request sending will acts as spamming and its against Facebook policy.. I think you got my point dear.. and keep coming here..
That's Great to hear from you Addison.. This post is really unique and best. Thanks for the information. I am really excited by reading this post. Thanks for dropping your view Smith...Keep coming here for our daily updates and plugin this..